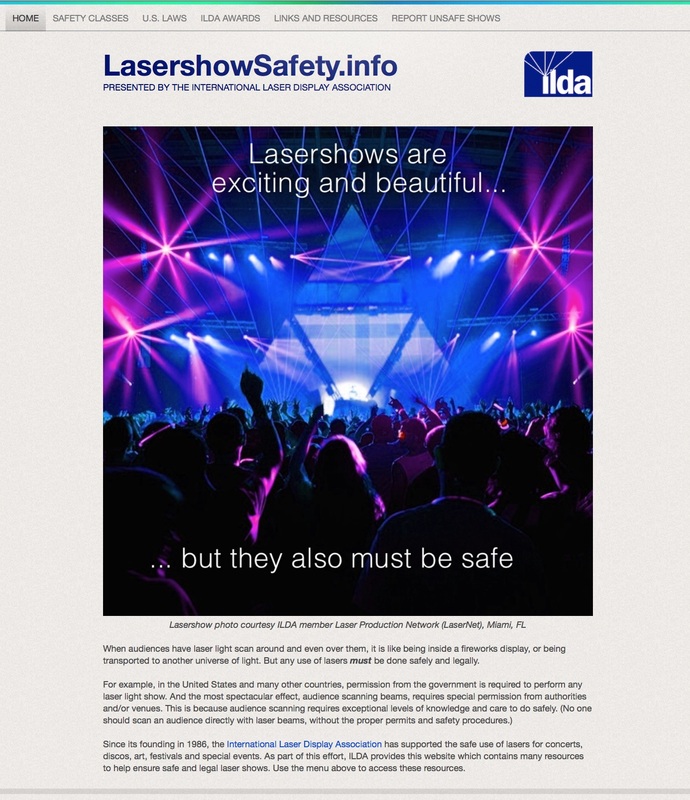 ILDA has a special website for safety related to laser light shows. This is for Members, other laserists, and the general public. Some of the information is repeated from the “Safety” pages here at ILDA.com. Other information is exclusive to LasershowSafety.info. If you’re at all working with or interested in laser light show safety, be sure to visit LasershowSafety.info.